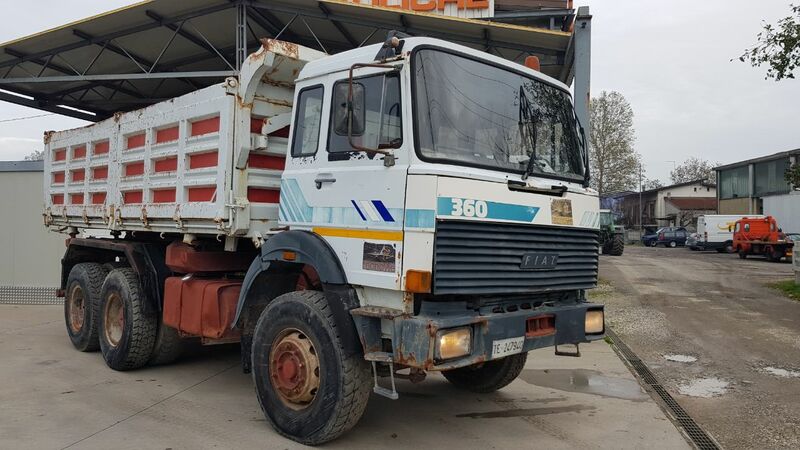 Man 33 362, year 1993, 3 axles, 6×4, manual gear, km 450.000, Trilateral tipper, wheels 80%, mechanic check up valid tell 04/2020, in perfect condition. 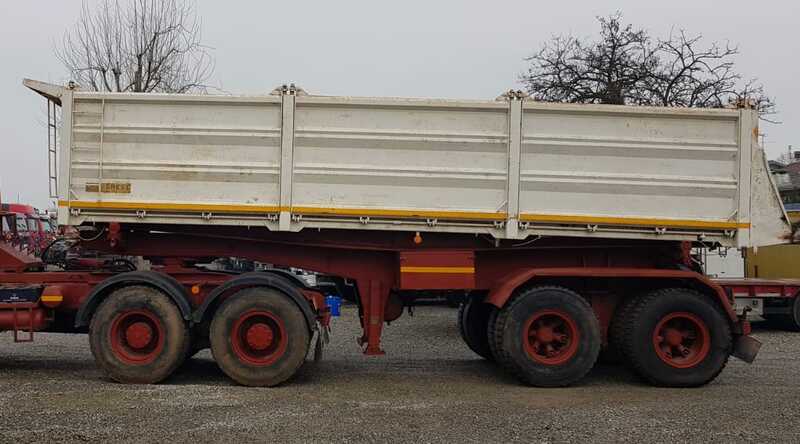 Daf CF85 480, 4 axles 8×4, year 2005, euro 3, km 316.000, manual gear, rear tipper Andreoli, mechanic check in 11/2019, in perfect condition. 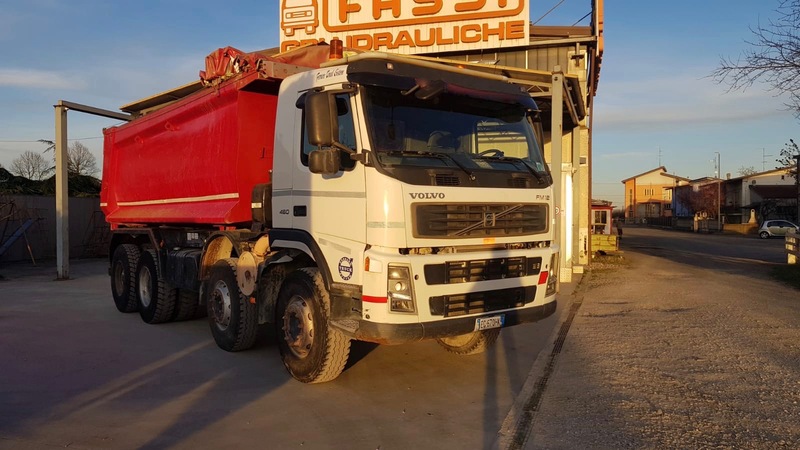 Volvo Fm 12 460, 4 axles 8×4, euro 3, year 12/2005, manual gear, km 597.000, rear tipper, dump truck tarpaulin, , wheels 60%, in good condition. 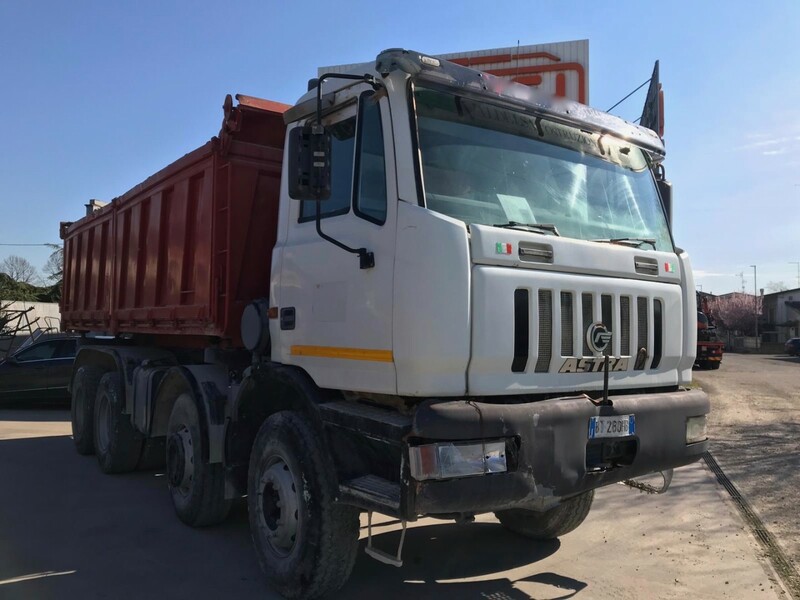 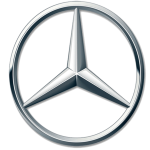 Astra HD7 84.45, 8X4, 4 axles, year 2004, km 200.000, manual gear ZF. 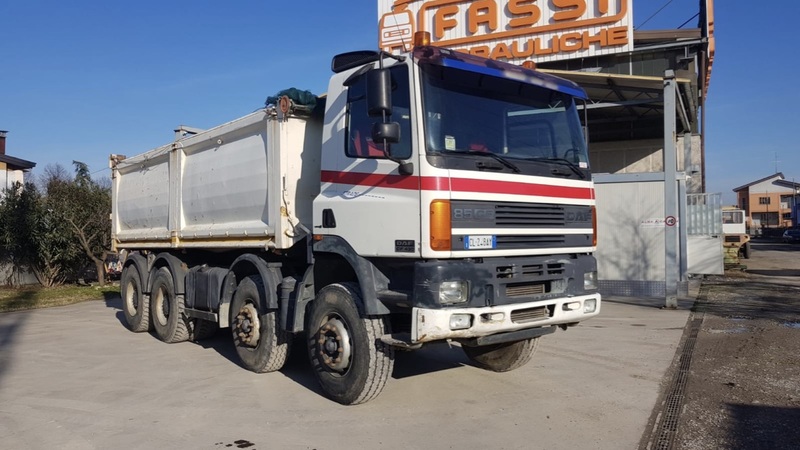 Semitrailer Calabrese, year 1985, 2 axles, 8 wheels, trilateral tipper. 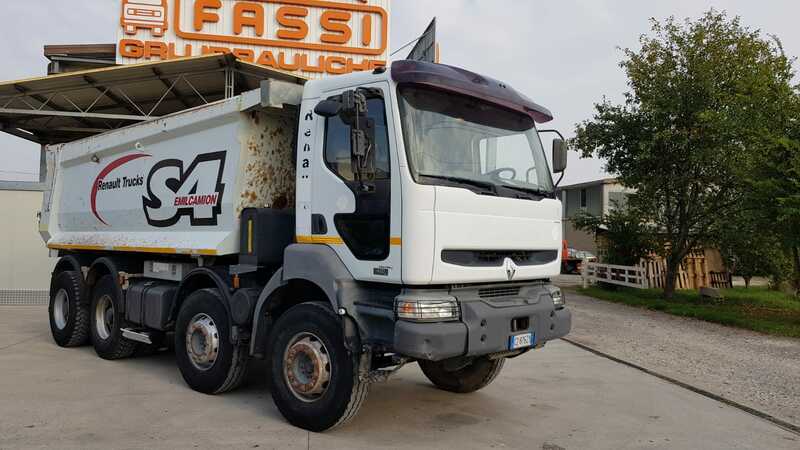 Renault Kerax 420, 4 axles, 8×4, year 2006, manual gear, euro 3, km 220.000, rear tipper Emilcamio S4, in good condition. 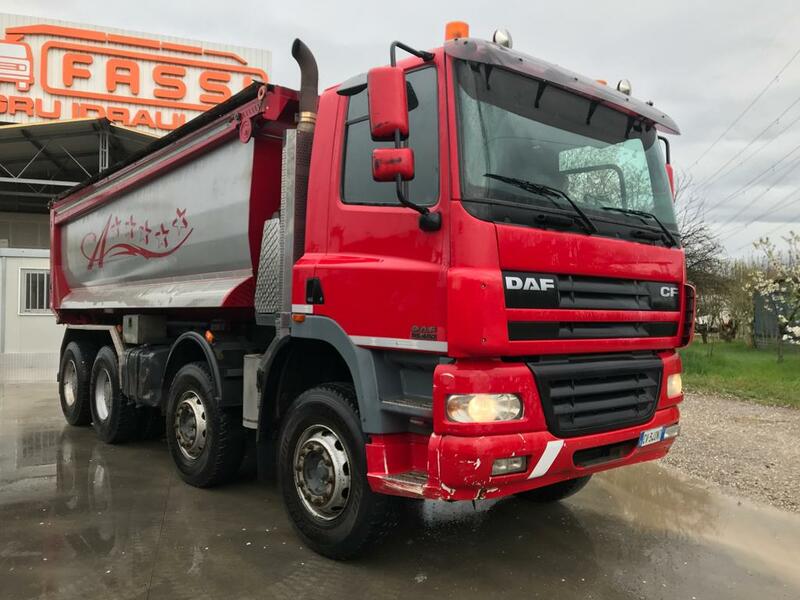 Daf Cf 430, 4 axles, 8×4, year 2002, euro 3, manual gear, km 440.000, trilateral tipper Andreoli, retarder, , in in perfect condition. 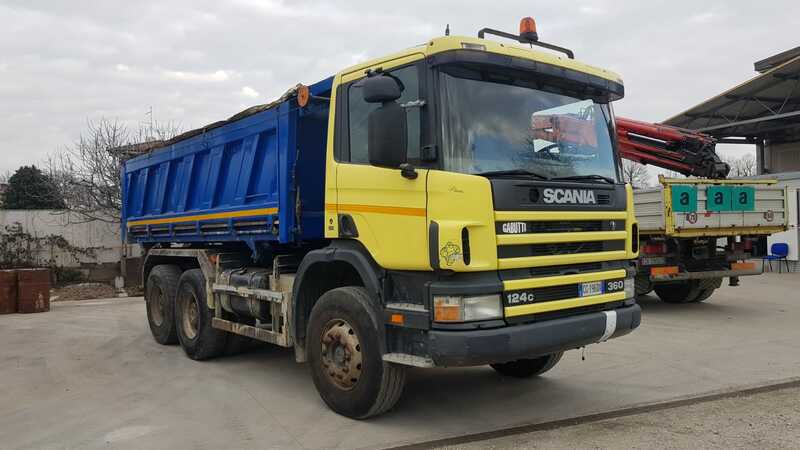 Scania 124 360, 6×4, 3 axles, year 1997, km 460.000, trilateral tipper Cordero, dump truck tarpaulin, in good condition. 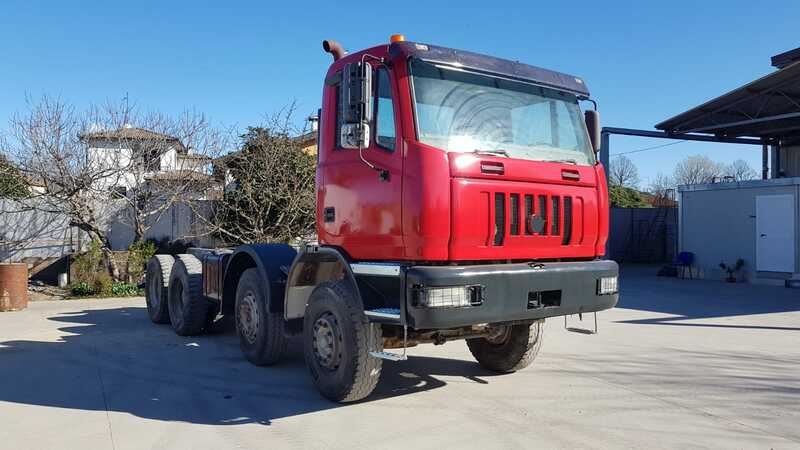 Iveco 330 35, 3 axles, 6×4, year 1989, manual gear, trilateral tipper, good wheels, tow hook.